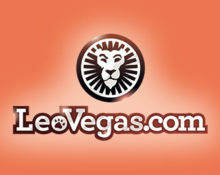 LeoVegas Casino – Swipe and have fun | Week 3! A share of £150,000 still to be won, plus no-deposit Free Spins, every Sunday! The first two weeks of this inter-galactic campaign has seen already 100 lucky winners enjoying a share of £100,000 in cash plus thousands were able to devour no-deposit Free Spins on Swipe And Roll™, the latest addition to the LeoVegas Originals created in association with Netent. There are three weeks and a prize pool of £150,000 left in the celebrations for the launch of this modern retro game. Earn your tickets to last three prize draws, each with a £50,000 cash prize pool, plus make sure to log-in every Sunday to enjoy Free Spins on Swipe and Roll™, no deposit required. Dust-up your sun lounger and prepare to take part in the latest exclusive campaign at LeoVegas Casio with three more random prize draws for cash prizes as well as Sunday Frees Spins with mystery amounts of Free Spins on the new exclusive Netent slot, Swipe And Roll™, every Sunday until 22nd April 2018. Both, cash and bonus bets are eligible for the promotion. Terms and conditions apply. Throughout the campaign, LeoVegas will be giving away £50,000 in a weekly prize draw. Earn one ticket to the following Monday’s draw for every £100 played through on the selected Retro Games, up to 10 tickets per player per day. Non-winning tickets are transferred to the next draw. Eligible Retro Games: Swipe And Roll™, Planet Fortune, EggOMatic, Deco Diamonds, Full Moon Romance and Jack Hammer. On Mondays, LeoVegas will randomly draw 50 winnings tickets from all eligible entries, and allocate the prizes in order they are drawn: 1x £10,000 | 1x £5,000 | 1x £4,000 | 1x £3,000 | 1x £2,000 | 14x £750 | 31x £500, all credited in cash shortly after the draw without wagering requirements. LeoVegas is giving all players Free Spins on Sunday throughout the campaign, no deposit required. They need to log-in between 12:00 – 16:00 GMT on Sunday and open Swipe And Roll™. Every eligible player will find a mystery amount of Free Spins. Wagering requirement is 35x FS winnings within 72 hours, subject to the LeoVegas bonus terms and conditions.